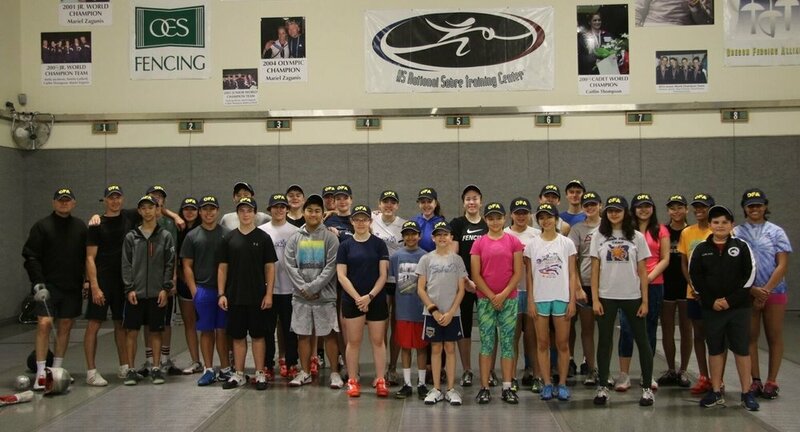 OFA offers winter and summer camps for all levels, from beginning to elite fencers. We welcome visiting campers from other U.S. clubs and from other countries. Head Coach Ed Korfanty and our talented assistant coaches provide intensive training at the advanced to elite level, or join us at camps offering skill-level appropriate fun and learning for younger fencers. We offer home stays for limited numbers of out of town fencers. Please reserve ASAP. We also offer individual Learn to Fence Packages. Scroll down for the latest information, call 503-467-9891, or email info@oregonfencing.com. Join OFA's coaching staff for a fun week of fencing! Included in the camp are tactical lessons with bouting every day. Games, fitness, and agility drills along with technical small group instruction during each session. This is the perfect camp for fencers aged 7 to 13. Contact Cathy at 503-467-9891 for all the information. Before and After Camp care offered by Rec Center. For information, call 503-629-6313 or look online www.thprd.org. Bryant Campus at Lakeridge Jr. High, 4700 Jean Road, Lake Oswego. Classes for ages 7-12. For information, call 503-675-2549 or look online at www.lakeoswegoparks.org. SW Garden Home and Oleson Rds. Ages 6-12. For information, call 503-629-6341 or look online at www.thprd.org. For information, call 503-768-3145 or look online at www.oes.edu. For information, call 503-297-1894 or look online at www.catlin.edu. Youth and Teen/Adult Classes at Pallisades Rec Center, 1500 Greentree Road, Lake Oswego. ©2019 Oregon Fencing Alliance. All rights and content reserved.